My business background is asset management, financial analysis and marketing. Accurate information and its effective presentation were the key ingredients for success in those endeavors. The purchase or sale of real property, in my opinion, warrants the same approach. This web site and the manner in which it focuses on listed properties is really an extension of what I learned in my previous three decades of business experience. I have tried to expand and enhance each category of information within the real estate field plus make available a selection of ancillary resources intended to provide insights not usually attainable in more casual treatments of property sales. To put it more directly, more is better - as long as it's the right stuff. The listings have exhaustive pictorial illustrations accompanied by text descriptions. Some properties have MPEG video clips of the surroundings, and where useful, the building interiors. 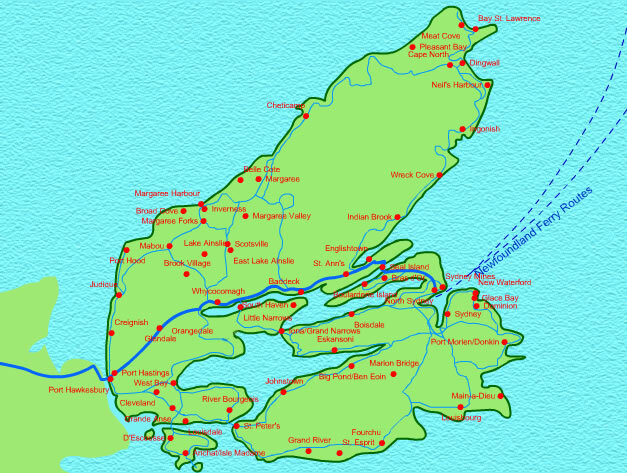 All have map references as to their location in Cape Breton Island. Principal shopping areas, distances, schools, medical facilities and other municipal services are reviewed where applicable. I hope that you find this site an enjoyable as well as a useful resource. 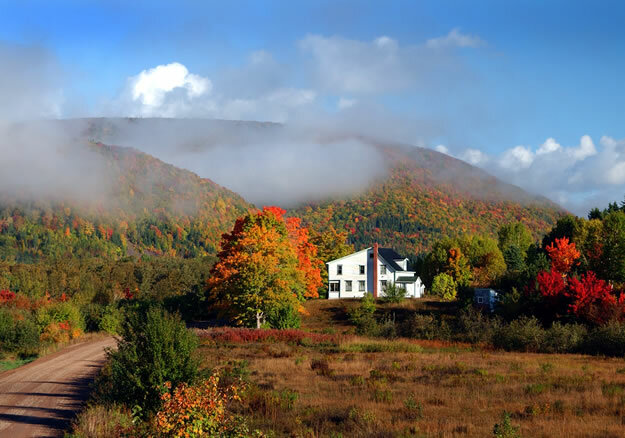 Margaree Valley by Warren Gordon. Click for better look.